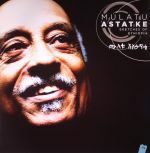 Review: These days, Mulatu Astatke is widely considered to be the "Godfather of Ethiopian jazz". Yet when he recorded the two-part "Afro-Latin Soul" album in 1966, he'd just left music college in Boston. As this fine reissue proves, Astatke was years ahead of the game. While rooted in American jazz from the period, all 19 tracks (both albums have been compiled on to a single disc for this edition) draw heavily on Cuban jazz, in particular, as well as Ethiopian musical traditions. In truth, the latter aspect doesn't come through quite as strongly as you'd perhaps expect, though some of the album's highlights - the brilliant "Soul Power" in particular - draw more heavily on the percussive polyrhythms of Africa. Regardless, this is a superb set of forward-thinking global jazz that delivers high quality entertainment from start to finish. 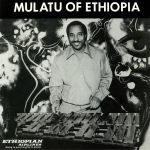 Review: Another weighty slab of Ethiopian music history from Mr Bongo... First up is the hugely influential fusionist Mulatu Astatke with the Latin-meets-Afro jam "Assiyo Bellema". Loaded with frenetic guitars and mesmerising drum work from Frank Holder, this was actually recorded during Mulatu's time in London. Flip for an equally influential force in Ethiopian music: Soul Ekos Band affiliate Teshome Meteku with a more traditional local sound, Teshome's yearning insistent vocals wrap around the horns and tight drums like fog around a mountain. Captivating.